BCF : Lawrence Solomon: The unspoken danger of CO2: It makes people go absolutely nutty. 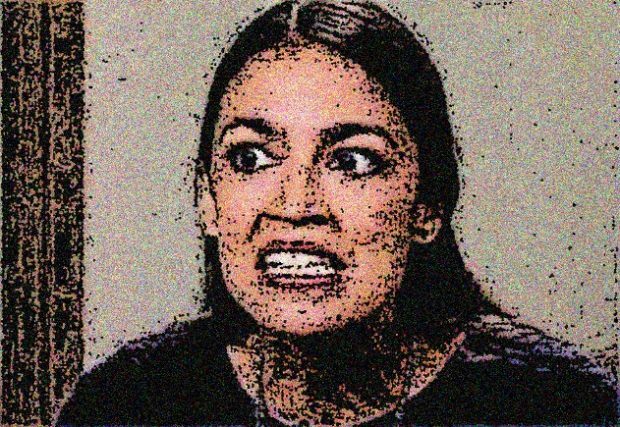 “The world is going to end in 12 years if we don’t address climate change” and combat CO2, Democrat firebrand Alexandria Ocasio-Cortez stated two weeks ago, explaining her views and those of “millennials and Gen Z and all these folks that come after us.” According to a fanciful study reported in The New York Times this week, the world as we knew it did end because of carbon dioxide, sort of, following Christopher Columbus’s discovery of the New World. Attributing climate change to Columbus on surmise based on speculation would in normal times be sensibly dismissed as the ravings of cranks. When the inmates run the asylum, and whispers of “climate” explain everything, no fantasy need withstand serious scrutiny. For most of the last 30 years, Al Gore has been a prophet of doom, time and time again warning of catastrophe if we don’t repent, time and again coming up empty. His 2006 film, An Inconvenient Truth, warned of devastation from rising sea levels — animations showed Manhattan under water, along with San Francisco, Beijing, Shanghai, the Netherlands and much of Florida. Time and time again Gore predicted the melting of the polar caps, in 2008 announcing that “The entire North polar ice cap may well be completely gone in 5 years.” That never happened; today there is more sea ice in the Arctic than in recent years at this time.